Published in conjunction with the Wildlife Trusts, this superb guide comprehensively covers more than 500 of the UK's top nature reserves, all of them owned and managed by the unique network of 47 Wildlife Trusts. Each entry includes information on access/conditions, opening times, facilities, how to get there, and local attractions. It is illustrated throughout with many colour photographs and maps. 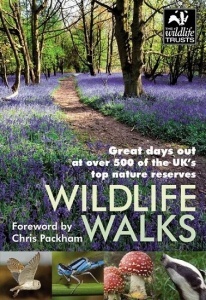 Wildlife Walks is the only guide you'll need to plan a great family day out.